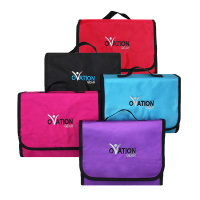 These Gusseted Garment Bags from Ovation Gear are perfect for storing your costumes and performance wear when not us use, knowing they will be neatly protected and wrinkle free until the next time you need them. The clear, see-through material takes the guess-work out of figuring out what’s inside, allowing you to clearly see the garments you have in each bag. Accessory pockets also allow you to store shoes and accessories, making it super easy to keep the right items with each outfit. There are three pockets, all separately zippered, one of which uses a breathable mesh material and extends the full width of the bag. An ID pocket, also included, makes labeling and identifying your costumes easy as pie. 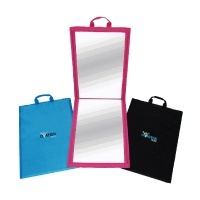 Sides feature a 3” wide gusset, allowing you to store multiple or bulkier costumes. Gusset is made from a color-matched mesh that allows for more air flow. Note - hanger not included. 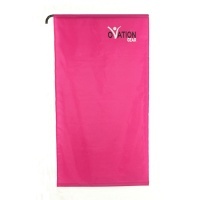 The Ovation Gear Gusseted Garment Bag measures 18.75" Wide x 35.5" Tall x 3" Deep. 1. Is the bag zippered? On the front, there is a zipper that goes straight down the middle of the Garment Bag. 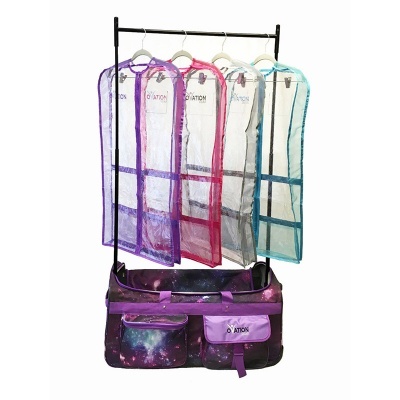 On the back there are 2 pockets with zippers located right in the middle, and right below that there is a third pocket with mesh that has one long zipper that extends the entire width of the Garment Bag.